New dual leadership: Injection moulding expert Christof Hanschke (left) and sales expert Bertram Göb (right) are the new managers of the renowned plastic case manufacturer W.AG. 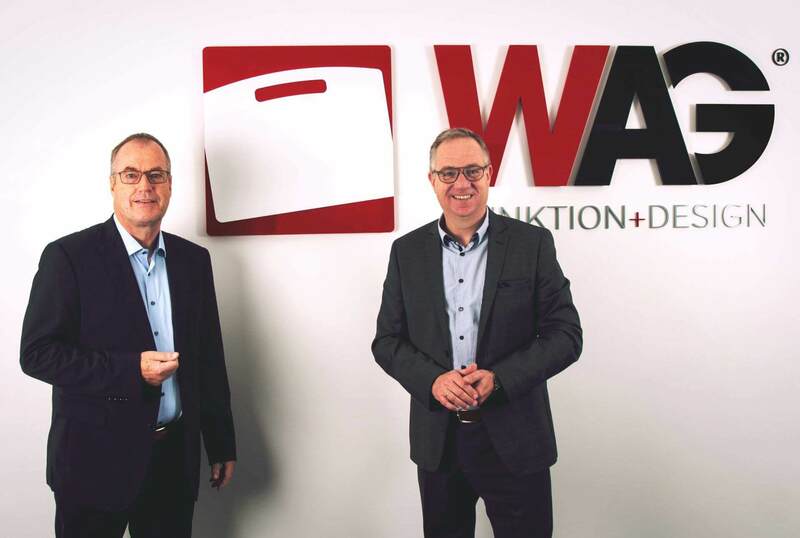 Sales expert Bertram Göb and injection moulding expert Christof Hanschke have been the new managers of the successful plastic case manufacturer W.AG for over three months. With intelligent process optimisations, strategic technology investments, and an expansion of sales activities, they are currently preparing the company for further growth in the European markets. In their first joint interview, the company bosses outline the developments that they are correcting and which they are currently focusing on. Mr Hanschke, Mr Göb – as of November last year, you are the new management of W.AG as joint leaders. How did you split the work between yourself? Hanschke: … all decisions regarding larger investments and issues related to the strategic direction of W.AG. My particular area of responsibility also covers the entire technology and the organisation of production, including tool making and logistics. Here I will be bringing in my experience from over 30 years of entrepreneurial activity in other industries as well as my know-how in the field of injection moulding technology. Now W.AG is considered as the industry leader in the market of plastic cases and has been on a growth path for years. Is there any great need for action right now? Göb: It is true that we have had very successful years. In 2018 alone, the revenue of W.AG increased again by five percent to currently 22 million euros. And for 2019, we even plan to grow by ten percent in terms of revenue. To achieve this goal, we have already set several courses, for example, for further European expansion of our sales activities and more intensive integration of our clients in our product development processes. Hanschke: In addition, based on a bottleneck analysis, we have made trend-setting optimisations very quickly at various points in our intra-logistics and our production, with the result that we can now respond even more flexibly and much faster to the requests of our clients and changing order situations. Hanschke: That is all correct. However, if a company grows as dynamically as W.AG over so many years, steadily increasing its own vertical range of production and, moreover, entering the market with new product developments time and again, then you must regularly adapt the internal processes and structures to the new situation. As a result, most of our optimisations currently implemented are the consequence of our success. But what specifically do you mean by “adaptation of the internal processes and structures”? Göb: We serve every industry and every market niche today with various plastic case and case solutions made of polypropylene. This high diversification of the portfolio is one of our strengths. It goes hand in hand with a very high degree of individualisation of the plastic cases – that is, the adaptation to customer requests and contents achieved as perfectly as possible by shaping, printing, and designing the inner workings. The daily implementation of this extreme client orientation requires maximally flexible production. At the same time, we provide many clients with standard solutions, which primarily involve fast, punctual delivery. Hanschke: We have now optimally coordinated the various requirements of the two production types. For this purpose, the storage capacity was initially increased, so that we can prefabricate many standard products and deliver them on demand at any time. As a result, free slots are created in production for the flexible production of customer-specific orders. As soon as they have been processed, however, the slots are used again for the production of standards, and the warehouse is filled up. Thanks to this “switching,” we are very flexible in production. In addition, we achieve an overall very homogeneous capacity utilisation. That is effective! In which areas are the focal points for your investments this year? Hanschke: For 2019, investments in the amount of 1.5 million euros are planned. Part of this will continue to flow into the previously outlined process optimisations. 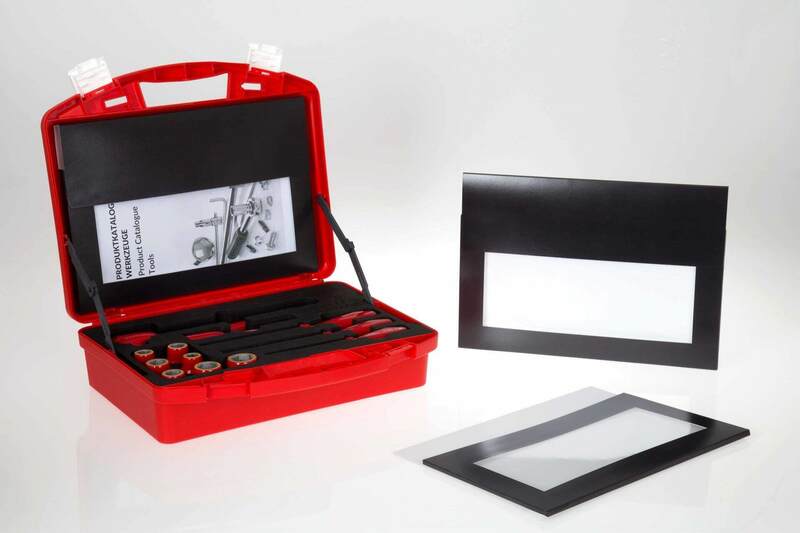 We will also be investing heavily in new tools for manufacturing other plastic case geometries and sizes. We will also be spending money on digital printing in order to have a high-quality colour printing process in our portfolio specifically for cost-efficient small-series printing. 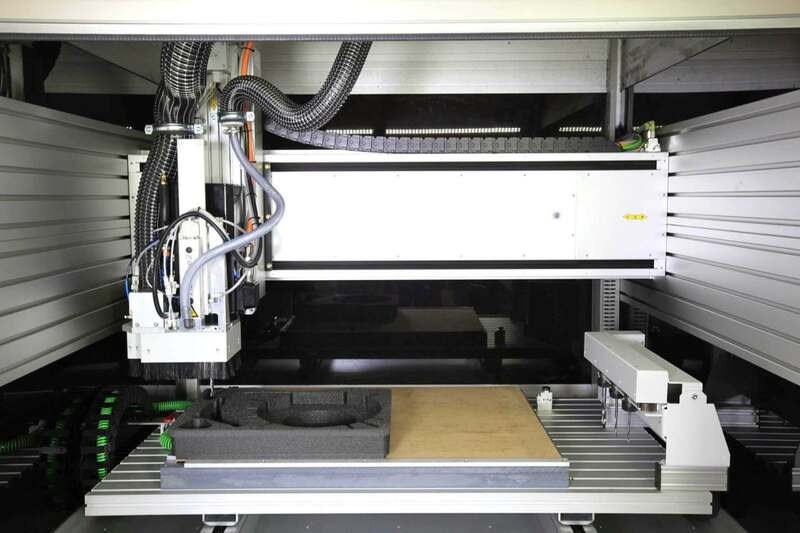 And last but not least, we will be strengthening our inlay production further by acquiring a new foam cutting plotter and investing in innovative bonding processes. Göb: In particular, the investments in new printing processes and in foam processing indicate that we are further expanding our offering for the industry-, client-, and product-specific individualisation of plastic cases. That will be a very important aspect for us in the future as well. Are there any other basic trends or parameters that determine your development work? Göb: Yes, in addition to individualisation, we devote ourselves intensively to the issues of mobility and sustainability. Under the heading of mobility, we summarise all the factors that allow our clients to trim their devices or tools by means of modern plastic case systems for mobile use in the field. In addition to integrating new digital functions into the plastic cases, we also develop new features for the interior design. In terms of sustainability, we focus on two areas: the energetic optimisation of our production and the implementation of ecological material solutions for our plastic cases. It is also important that we will soon be involving our clients even more in our development processes than was previously the case. How can we imagine this in practice? Hanschke: … we are currently developing a client-friendly configurator account for that purpose, which we will presumably present at this year’s Fachpack. And which tasks now have the highest priority in the coming weeks? Göb: In addition to the many points already mentioned, we are currently working relentlessly to expand our network for direct sales in Europe. We have already achieved a lot in recent months, but in the markets of our European neighbours we want to be even stronger in the future. Hanschke: And then, of course, we will be busy recruiting qualified employees. It is very clear to us that motivated and well-trained professionals are the basis for the success of W.AG. We will therefore also be prepared in the future to invest in education and training. The alternative would be a technological offensive to the full automation of production – for example, late shifts. Mr Göb, Mr Hanschke – thank you for the interview. 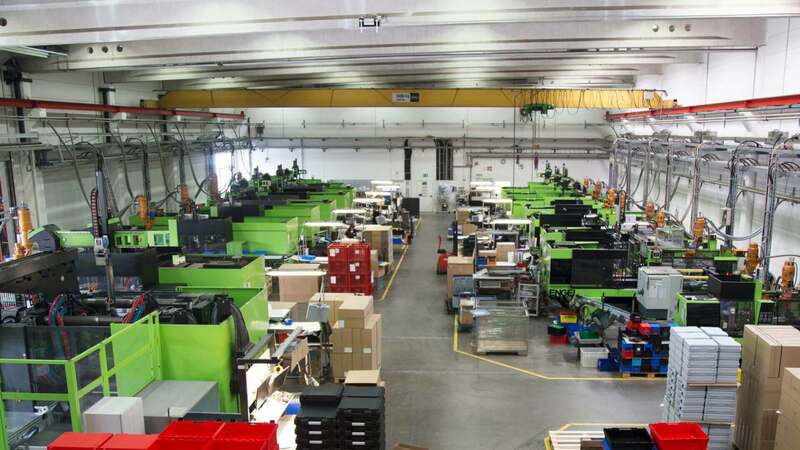 A look at the injection moulding production of W.AG: Currently, the company at the main factory in Geisa manufactures three million plastic cases each year for clients around the world. The latest TWIST case model by W.AG is offered in 15 formats, can have a high-quality print from in-mould labelling (IML) and be equipped with product-specific adapted foam inlays. W.AG devotes a lot of attention to the production of customised inlays. 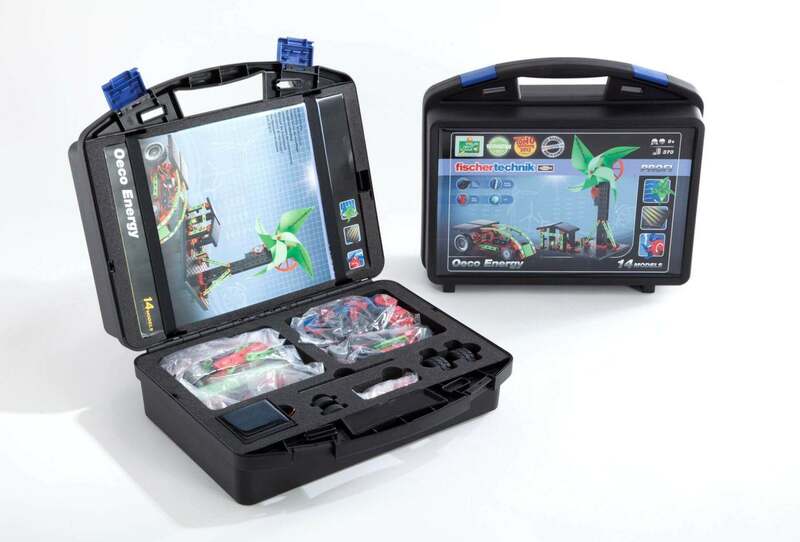 As of last year, W.AG now also offers the opportunity to further upgrade the functionality of the interior design of its plastic cases by integrating additional pockets made of cardboard. The anthracite-coloured pockets are available in numerous designs.